Consistent repetition is the key to perfect supply, and the key to our customers’ success. 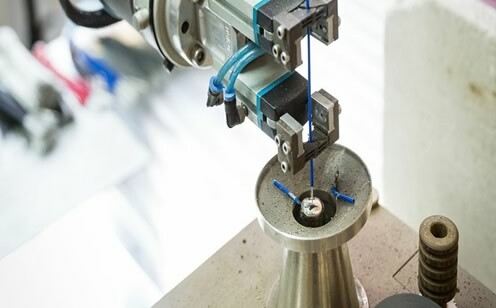 Within our manufacturing and assembly facility we have invested heavily in automation equipment, both standardised machinery built for purpose as well as customisable robotic automation that can be adapted and programmed for a range of unique requirements. We have multiple machines that can cut, crimp, strip, join and count. It’s their ability to work quickly, repetitively and consistently that ensures we supply quality automation solutions each and every time. As part of our own process of Continuous Improvement, we constantly review our in-house processes to ensure we’re working efficiently and delivering the best solutions we can to our customers. In this way we strive to always reduce our costs and pass these savings on to our customers where possible.We maintain a constant service programme for all our automation equipment to ensure it works consistently and continuously, which means it, and we, won’t let you down.